With the pomp and ceremony of ridiculous rituals and eccentric dance, characters from an over-sized chessboard come to life. A bossy Queen, a stupid knight and a pawn with a touch of cunning, conduct an interactive, absurd and humorous game for all ages. 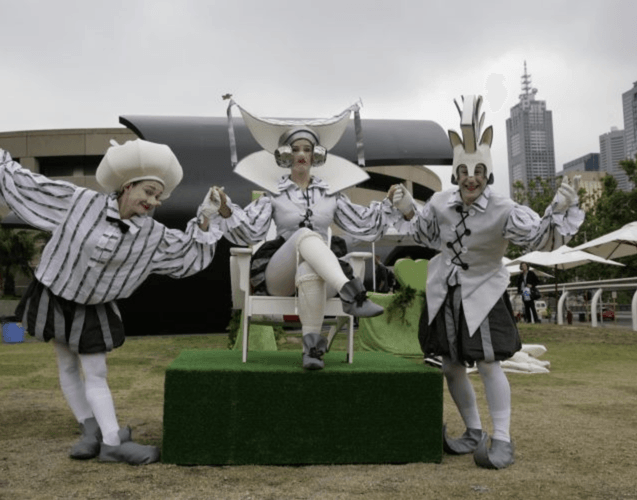 Commissioned by The Arts Centre Melbourne, The Curious Game has delighted audiences from New Zealand to South Korea, utilising Born in a Taxi's signature performance style - incorporating physical theatre, ensemble dance, clowning and audience participation.